Migraines are headaches and are usually pounding and one sided. They are associated with nausea and light sensitivity. They can be debilitating and last for days. Research over the past several years has shown that they may be associated with increased risk of stroke. Elevated blood homocysteine levels, which are markers of systemic inflammation, are also associated with both stroke risk and migraine. Triggers for migraines can be food, wine, lack of sleep, stress etc. Hormone imbalances (such as high estrogen and low progesterone in PMS times) can trigger migraines as well. 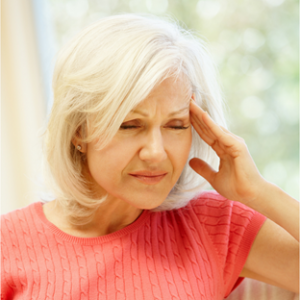 Proper hormone replacement using natural bioidentical progesterone often helps prevent these cyclical migraines. Supplements that are often helpful in migraine prevention and are available in our clinic are: coenzyme Q-10, magnesium and high quality B-complex vitamins. If you suffer from migraines, if may be a good idea to have your homocysteine levels checked at your next IDH appointment or with your family doctor.